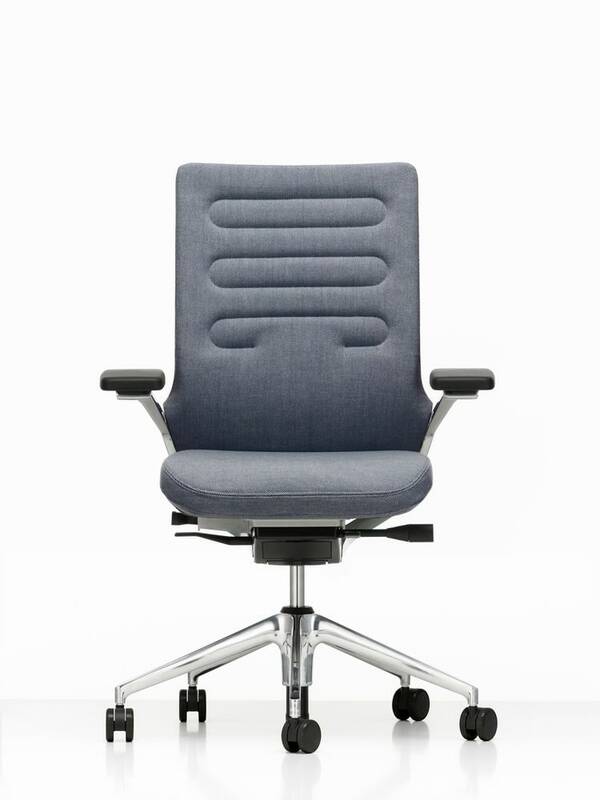 "Vitra AC 5 Work office swivel chair"
FlowMotion with synchronous forward tilt (can be switched off) and seat depth adjustment. The mechanics are powder coated in basic dark. Horizontally sewn upholstered chambers and a cantilevered back construction. The back is made of polished die-cast aluminum. The seat cushions are made of polyurethane foam. You choose from fixed ring armrests of die-cast aluminum or FreeFloat armrests with a polyurethane base in the color basic dark. The five-star base is available in black (basic dark) polyamide or in polished die-cast aluminum. The equipment of the AC 5 Work shines with sophisticated functions that do not intrude on the viewer, but discreetly remain hidden. The adaptation to your own needs succeeds effortlessly, the uncompromising functionality is available at any time without affecting the elegant appearance of the office chair. A successful combination that makes the Vitra AC 5 Work a symbolic object for the perfect office swivel chair for upscale offices. The structure is divided into 3 zones, which offer the user optimal support in the neck area and prevent tension. Shoulder zone, sink in zone and lumbar zone provide relaxation and healthy sitting. The ergonomic functions are complemented by the FlowMotion mechanism. 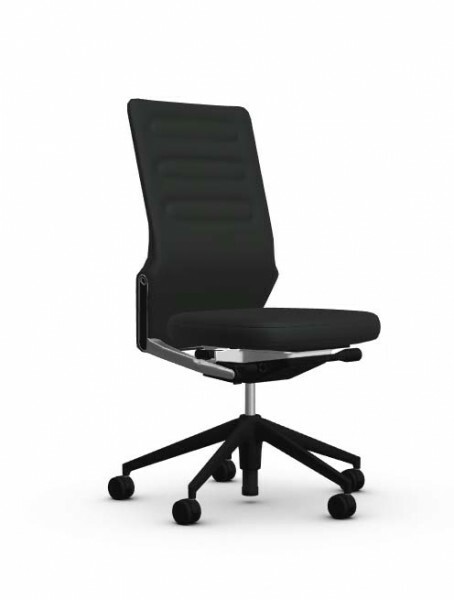 Its seat depth adjustment and synchronous forward tilt promote dynamic and healthy sitting. For the removal of dust and lint, the suction of the cover is sufficient. Stains on the cover and the surface can be treated with a damp soft cloth. Stains on polished aluminum can be removed with glass cleaner. 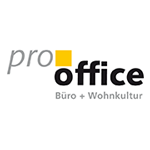 Related links to "Vitra AC 5 Work office swivel chair"
Customer evaluation for "Vitra AC 5 Work office swivel chair"